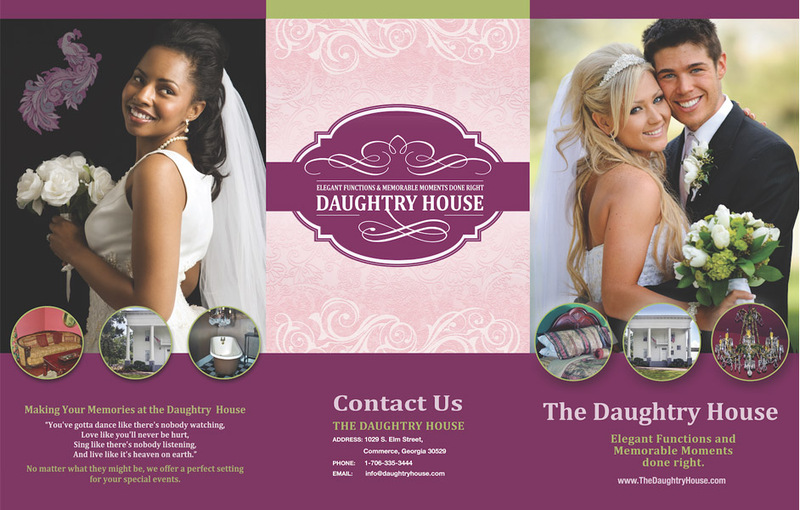 The Daughtry House provides accommodations for small indoor weddings and gatherings. 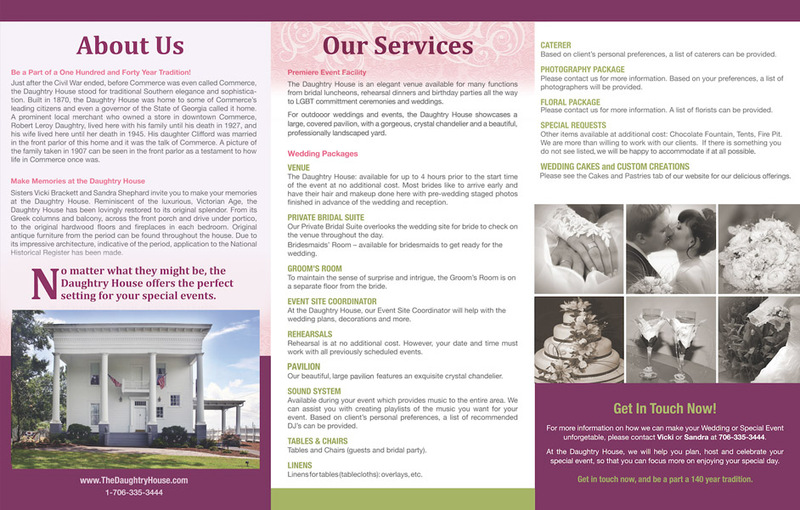 It is an Event Facility: an elegant venue available for many functions from bridal luncheons, rehearsal dinners, graduation and retirement parties, all the way to weddings. 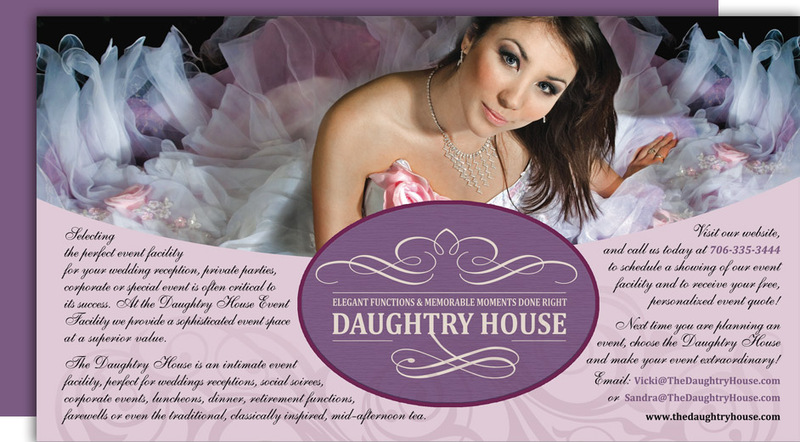 Built in 1870, the Daughtry House epitomizes traditional Southern elegance and sophistication. 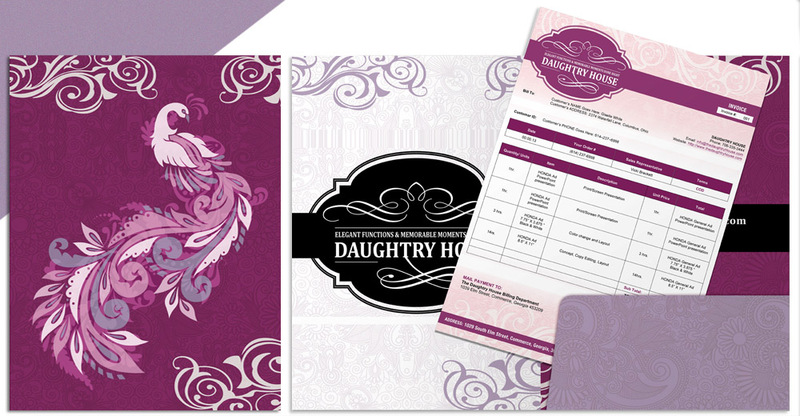 The home has been lovingly restored to its original splendor. From its Greek columns and balcony across the front porch and drive under portico to its original fireplaces in each of the bedrooms and original hardwood floors, the Daughtry House is much the same as it was when some of Commerce’s leading citizens and a governor of the State of Georgia called it home. Original antique furniture from the period can be found throughout the house. 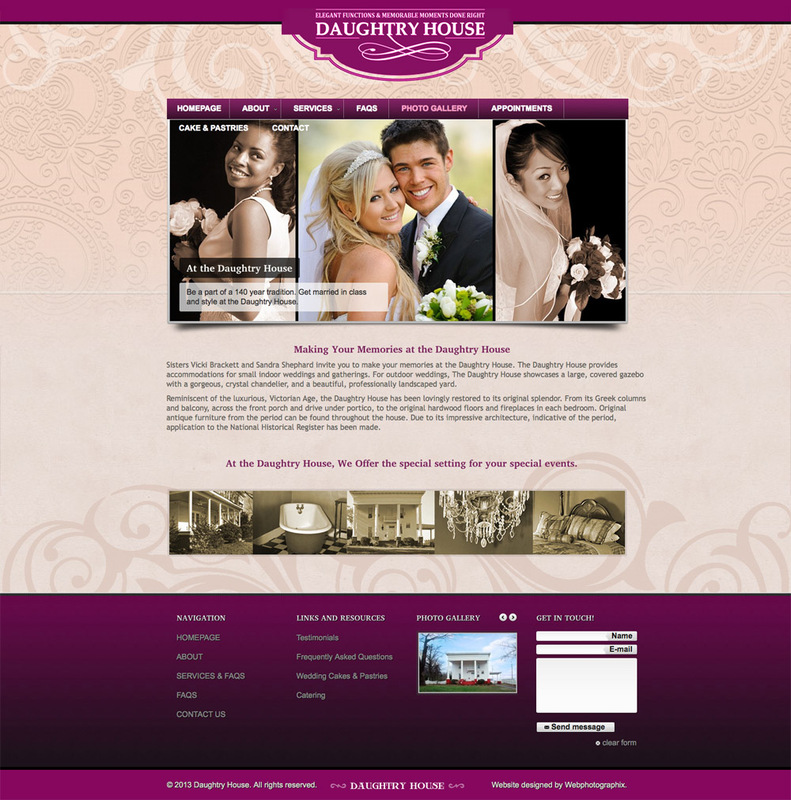 Web Development and Corporate Branding for The Daughtry House, newly owned by sisters Vicki Brackett and Sandra Shephard. 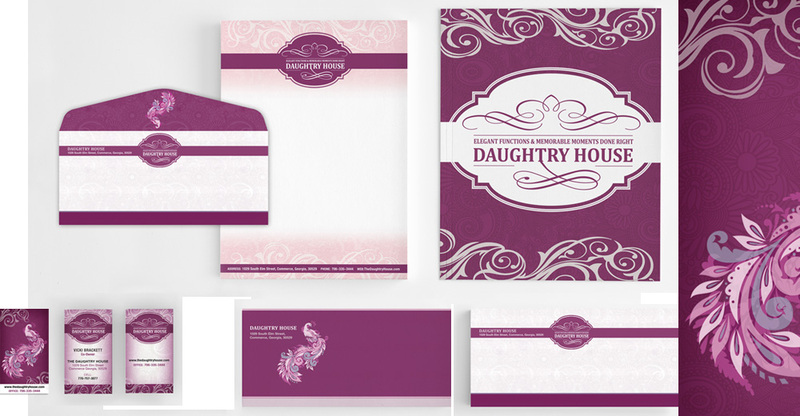 A Logo design was created, to reflect the elegance, style, luxury and class of the Victorian Age. 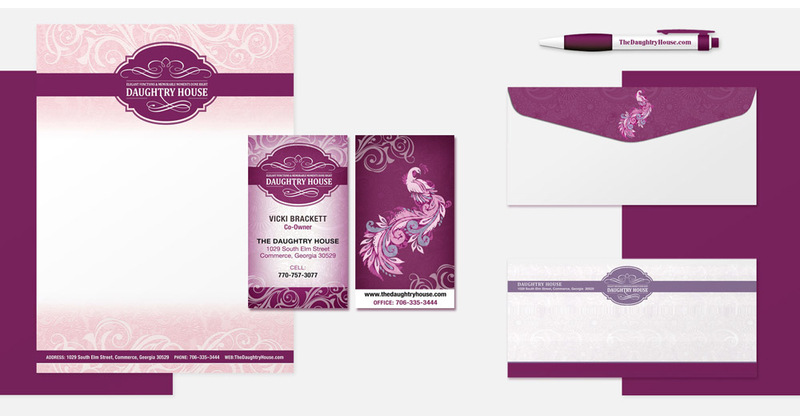 A Corporate Branding package comprising: Business Cards, Stationery (Letterhead and Envelopes), Invoice and Pocket Folder were put together. 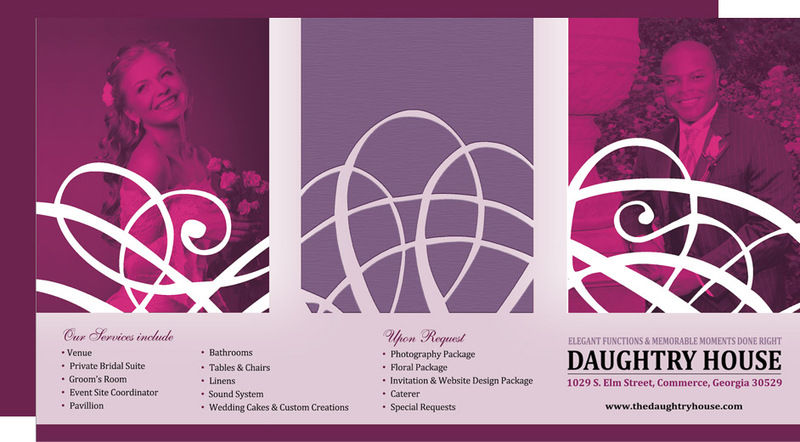 Marketing Materials including a promotional Postcard, Brochure and Website were created.